2019 BMW Z4 M40i First Edition wows Pebble Beach. clamshell hood dominate the Z4’s frontal presentation. Finally! One of the more anticipated models not named the Toyota Supra made its debut on Thursday at the Pebble Beach Concours d’Elegance reviewing stand during Monterey Car Week. 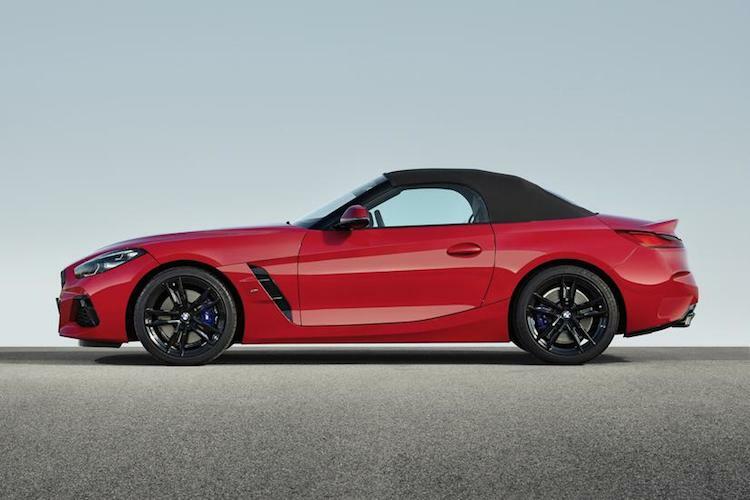 That would be none other than the 2019 BMW Z4, which is the latest version of BMW’s beloved roadster. 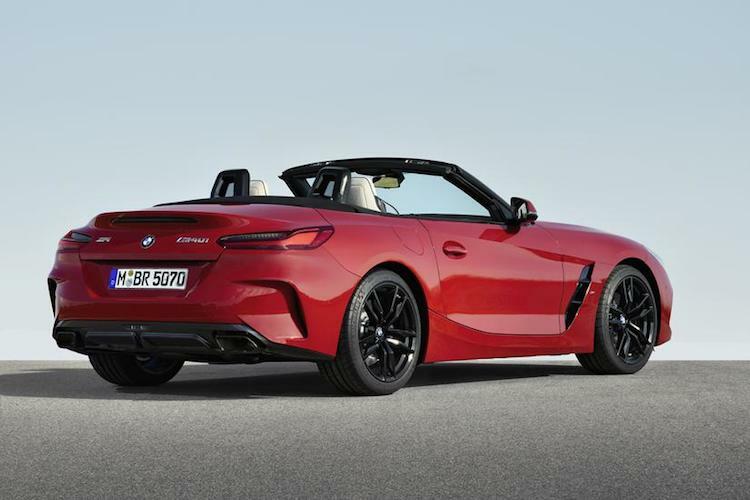 The displayed model was the 2019 BMW Z4 M40i First Edition that, odd as it may seem, will not be the first Z4 model to go on sale in the U.S. Indeed, the 2019 BMW Z4 30i will arrive next spring, followed on the heels (or wheels) by the BMW Z4 M40i (including the First Edition). 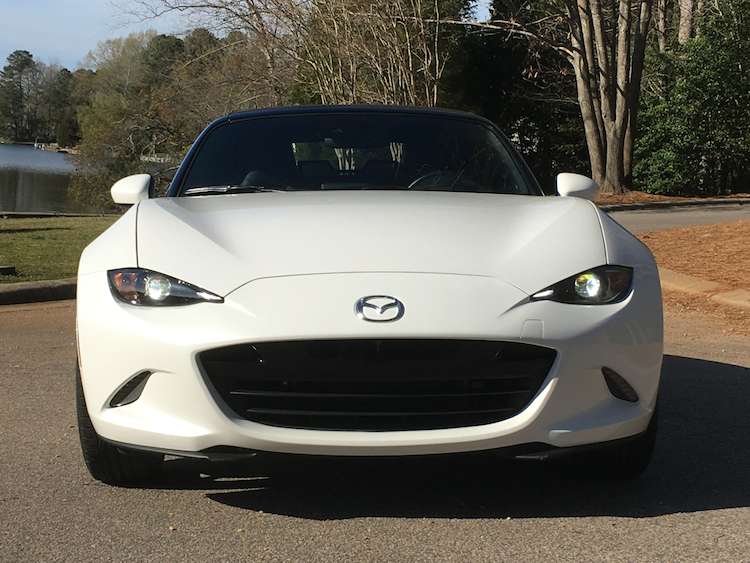 We’ll let the pictures (and captions) tell the story of the new model. At the end of this story, we’ll wrap things up. The Z4’s profile includes air breathers near the front wheels, distinct sculpting and stylish wheels. 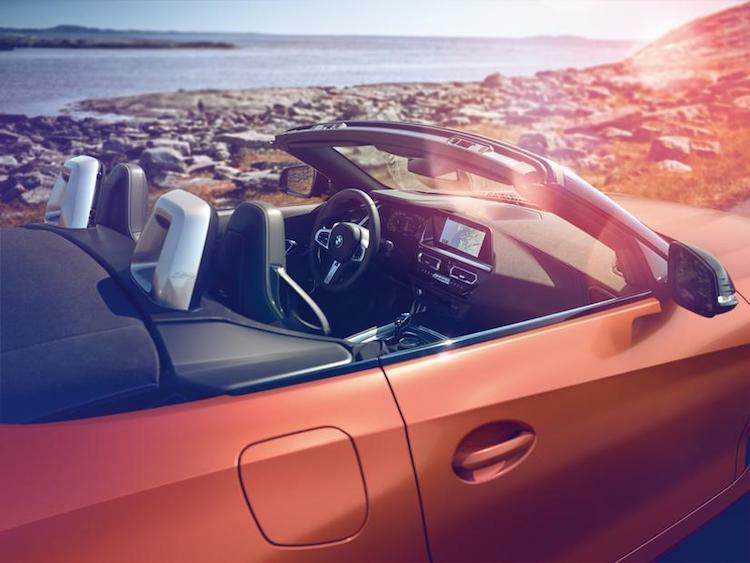 The soft-top roof is electronically controlled. Here is a better look at the side air breathers. 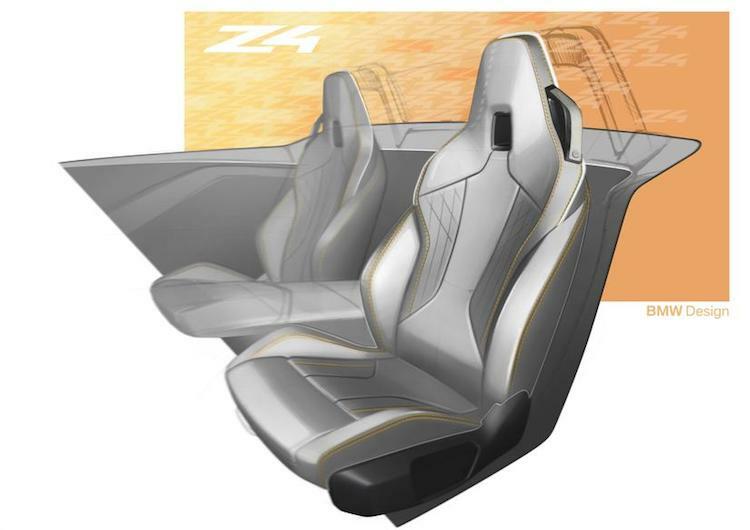 The Z4’s rear deck is short and wide, marked by a trunk lip spoiler, narrow wraparound taillights and a diffuser with twin exhaust ports. The necessary rollover bars emerge when a rollover is detected. 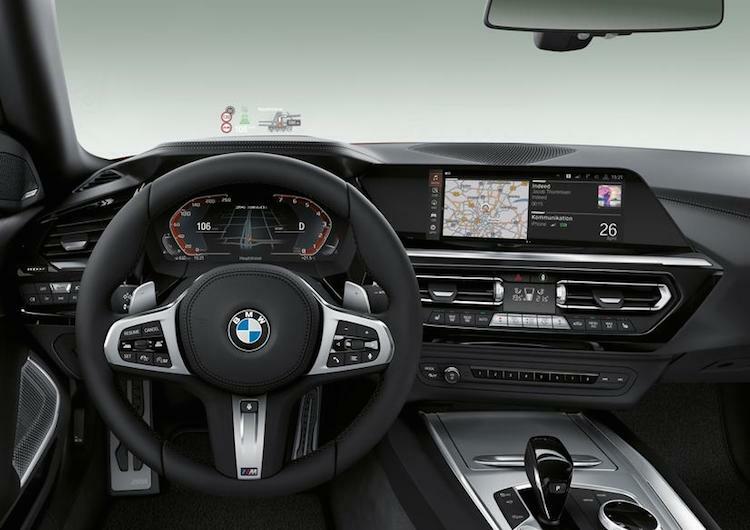 A driver-oriented cockpit ensures that all controls are at the ready. The first edition includes a head-up display. The digital readout and audio package are likely unique to this model too. A closeup of the digital instrument panel. 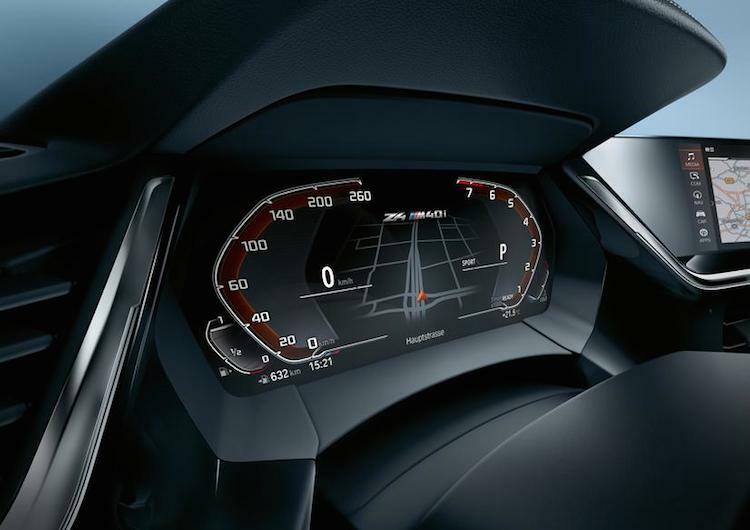 automatic transmisison with paddle shifters and drive mode control. The photo array is from BMW. What is odd is that they didn’t include a photo of the seats. This sketch shows what they’ll probably look like. As expected they’re bolstered and look very supportive. 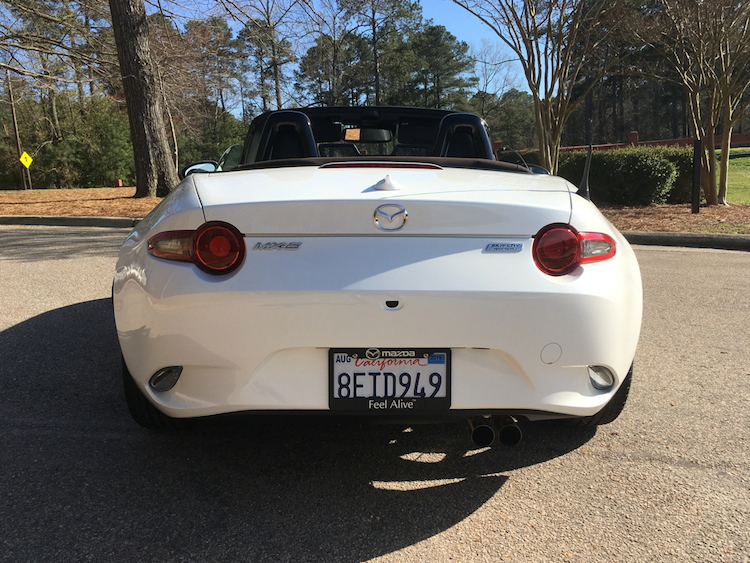 low center of gravity and an ideal 50:50 front to rear weight distribution. The new BMW Z4 will share its architecture with the Toyota Supra. In doing so, BMW can afford to build this model and sell it in small numbers. It also provides Toyota with a cost-effective way to bring back the Supra, although we’re waiting with baited breath for its official production-ready debut. 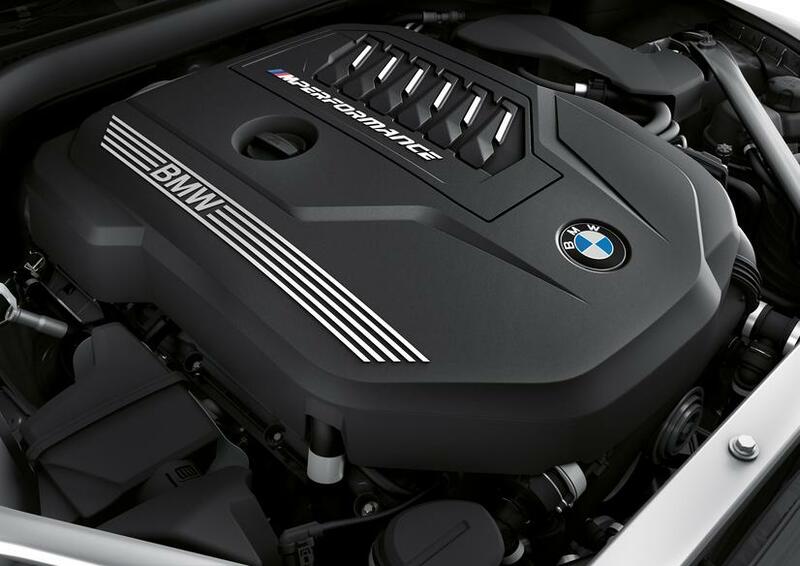 Photos courtesy of BMW of North America, LLC.